Weddings... they are so different now then they were when I got married. We'll be celebrating our 19 year anniversary in just 2 months... I'm already trying to push for a Disney trip next year to celebrate our 20th. It's just called for I think. But being a photographer at weddings & seeing all things Pinterest in weddings, I see how different is was when I walked down the aisle in 1995. It really is such a cute idea. But isn't that a lot of extra postage? 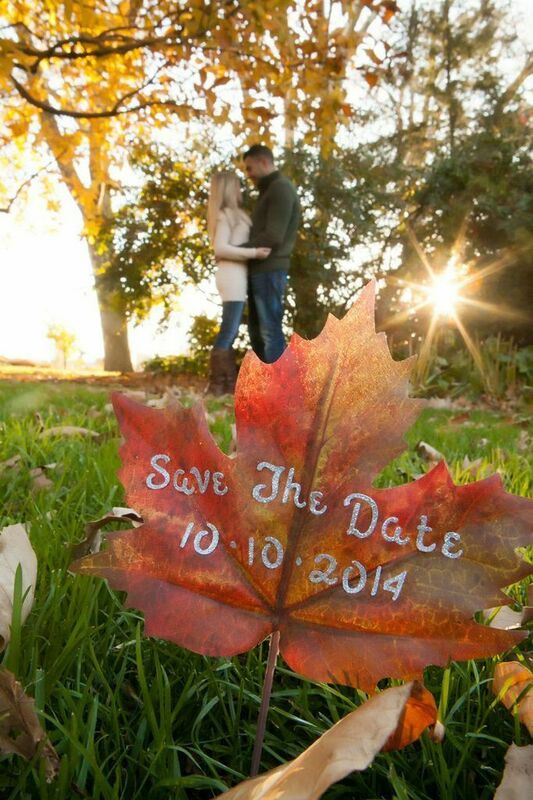 I think it is a cute way to start spreading the word on when the wedding is going to be. But things spread quickly more on social media... I would do the pictures for it, but spread the word on Facebook & Instagram... & then let people wait anxiously to see if they are getting invited. Build up some anticipation. Bridal showers were just for the bride back in my day. Ricky would sit at home & wait for me & my mom to pull up & he would unload the car & then we'd have our own little private shower as he would go through everything we got. It was like Christmas morning for him. Ricky's not a big 'in the lime light' kinda person anyways so I'm sure he didn't mind this one bit, but I have been to couple showers now & love that the groom is there & that guys are invited to the showers. I really love the cute ways that they have all over Pinterest on how to ask your friends to shell out lots of money for a dress they'll never wear again. Some of the ways are so fancy & creative. This is for some creative people ... or some really rich people. I've seen where the bride gets necklaces or jewelry & have the question engraved on that, or on the box somewhere. It's definitely a cool keepsake between friends. Nope - wasn't really a thing then. You didn't go out & get pictures of the two of you before the wedding day. If you did, it wasn't like the fun pictures that people do now. 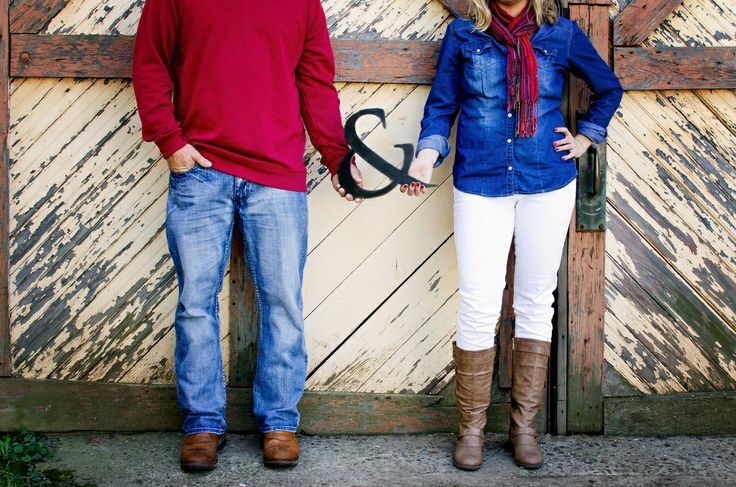 I love that people use engagement pictures & make beautiful guest books with them. We had the same ones that I think people use at funerals. Now that I do wedding photography & I take pictures of the day, I am so jealous when I hand over wedding pictures. I want my day captured. Wedding pictures then were basically you standing in the front of the church with your bridal party, your family & your groom. That was it. Honestly, my wedding pictures were like 75 pictures. That's everything. Wedding, reception, family pictures. All in a grey album with plastic cover. Stupid. I want the beautiful moments of getting ready, & the smiles between friends & the details of the day. I love wedding pictures of today. One thing that may be a blessing that they didn't have then? So did you use any of these things for your wedding? If you've been married forever like me, what didn't you have that is out there now? Oh my word! Girl....SPOT ON. When I was getting married I cursed "the Knot". I said to my matron of honor, "It is so easy to get sucked into the 'the wedding machine'. You see pictures on 'the Knot' and suddenly second guess every single decision you made. A simple bouquet turns into one that weighs 20 pounds and can barely be held with one hand!" But then Pinterest launched? LORD HAVE MERCY. I would have crawled into a hole and cried with overload. how cute is your wedding picture?! i love it. i think disney trip is an absolute must for your 20th. DO IT. I am already planning our 5th wedding anniversary to go back to Vegas (where we honeymooned) and I am already absolutely chucking Disneyland on there as well. I wasn't going to do save the dates but my MOH did it as a gift and it was amazing. We didnt do couples showers, actually I hated my bridal shower that my MIL threw but that's a different story. I am not a shower girl, no siree. i didnt give a gift to ask my bridesmaids, but i did give my bestie a MOH disney shirt (knew you'd like that!) to ask her. we absolutely didnt do the choreographed dance, we barely did a first dance. i was like ok done lets party please. we did do engagement pictures as a favour to a friend who was starting a photography gig, and honestly.. i hate 99% of them. i was heavier, my hair and makeup were horrible and the pictures arent good. it makes me sad we dont have better ones. and i reckon my wedding would have been so different without pinterest. actually here's what i wanted for my wedding: courthouse + dinner with 20 people (family and friends). thats it. i wish we did it.. sigh. anywho. longest comment ever! love this post. happy 2 month eve anniversary haha! I have been married for 23 years so none of this stuff existed when we tied the knot! I think the only thing I really would like to have are the pictures that capture the day. I love Pinterest, but in my opinion it just makes it that much more stressful to get everything "right". The day should be what you want and how you want it, not a way to show off or live up to society's standards. There are some things I would do differently if I were to get married again but not so much that I would have a totally different day - that was a once in a lifetime moment! 19 years, awesome! And YES, you definitely should go to Disney for 20 :) We've only been married 6 years and we didn't even have any of that stuff haha. However, I'm not sure if it was because it wasn't around yet or because we were 19 and 22 and paying for it all on our own haha. 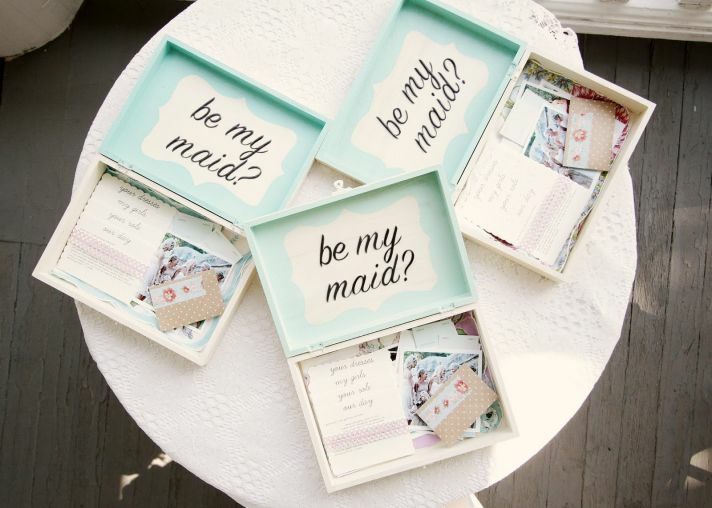 The gifts for those in the bridal party???? I thought it was just and honor to be asked to be in a wedding? Crazy. It's all about you and him saying I do, looking great, music and great photographer. I surely didn't need 7 popcorn air poppers.... I totally would have done the choreographed dance!! Congrats on 19 years, awesome. These are all so true!! Pinterest was just really picking up when I started planning my wedding - but thank god for it lol!! Although at least there were still plenty of bridal mags to get ideas from!! Oh my gosh! 19 years is amazing! Your dress looks so beautiful I love sleeves on wedding gowns- though thats another thing that's not so common now! I kind of wish Pinterest hadn't been around when I was planning my wedding. I LOVE it for everything else-- but the second the wedding was over I could not unfollow all and any wedding boards! Wow!! 19 years! What a great photo of the two of you! I definitely agree with that last ecard, anyone who was married more than a couple years ago should get a re-do. There are just so many little ideas I got from Pinterest! I have been married 30 years and I agree with everything you posted except my husband and I DID have several couples showers!! He even had one where he got "guy" gifts...aka tools!!! 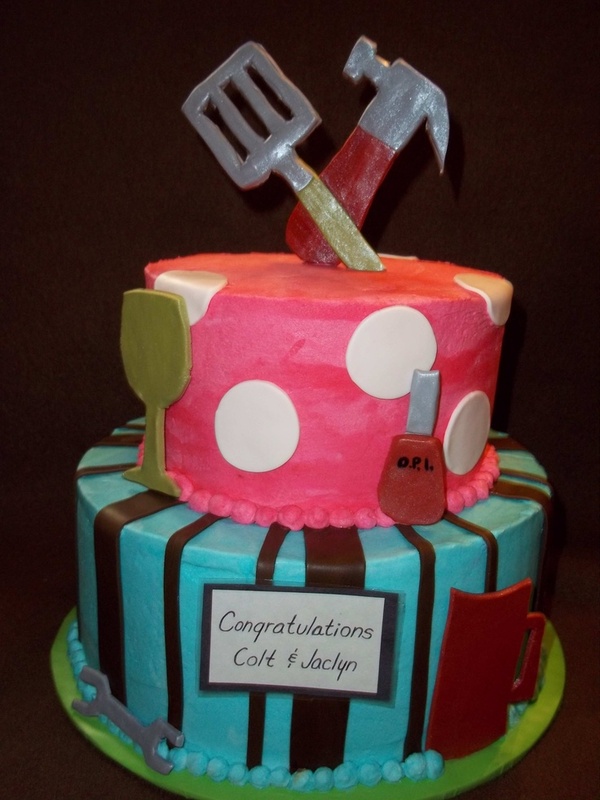 when we got married, grooms cakes had not yet gotten popular. We didn't have "first looks" (which I love by the way) and we didn't write letters to each other to be read on the day of the wedding! we also didn't have video. We had a friend offer to video our wedding as a gift (big on the shoulder video camera)...ya, well they were not paying attention and the video camera slipped down and video the pew for the WHOLE wedding. If I could have one thing they have now it would be one of these great wedding videos! yeah almost 20!! that is awesome you two. love that pinterest quote so very true. honestly, though i think pinterest might have sent me over the edge with wedding planning because there are way too many cute ideas. we did have engagement pictures, but no save the dates. Looove the throwback pic! I think an anniversary trip to Disney sounds like the best idea ever :) I've never really understood the Save the Date purpose either.. but I still did them because I felt like I had to! 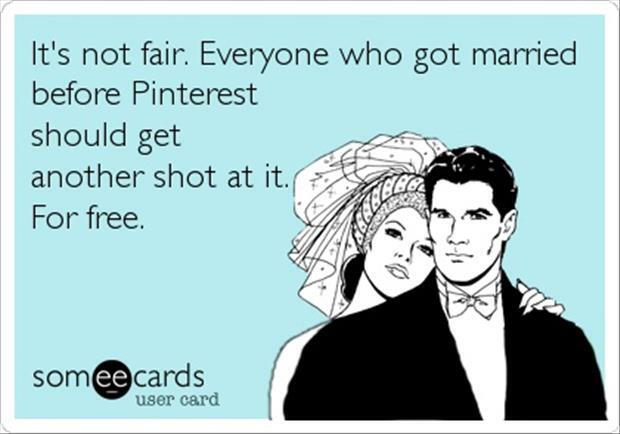 I can't even imagine how women planned weddings prior to Pinterest!! Yes they have come a long way over the years and the things I find on Pinterest are so awesome! Hope you get that Disney trip you want.